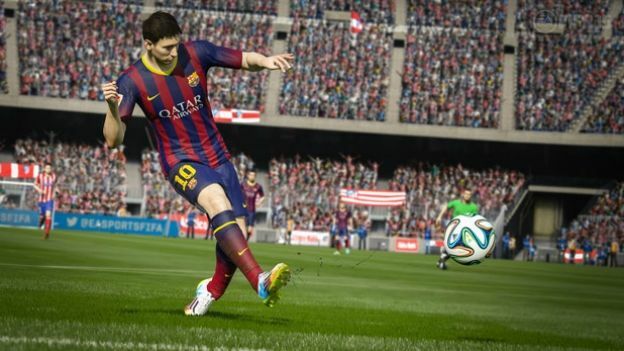 EA Sports has dropped support for PS4 Share Play on FIFA 15, making it the latest game to block the feature. Share Play landed on PS4 consoles in late October as part of system update 2.0, enabling players to share their games with a second user online without having to actually own the game, including taking full control for an hour at a time. This is the first EA game to wave goodbye to the feature but by no means is it the first PS4 game. Activision has alsoblocked Share Play for Call of Duty: Advanced Warfareand Call of Duty: Ghosts. Since then other major titles like Tomb Raider, Thief and Wolfenstein: The New Order have joined the boycott. This time it's particularly odd, as Sony had used FIFA 15 to demo Share Play ahead of its release. According to Eurogamer, the football title was among the games that worked upon the feature's release, so it would appear that EA Sports had a change of heart. Sony will no doubt be unhappy about major titles stopping Share Play, but seeing that it could affect game sales, it's likely the list will continue to grow. Last week Sony admitted to CVG that developers could indeed disable Share Play.